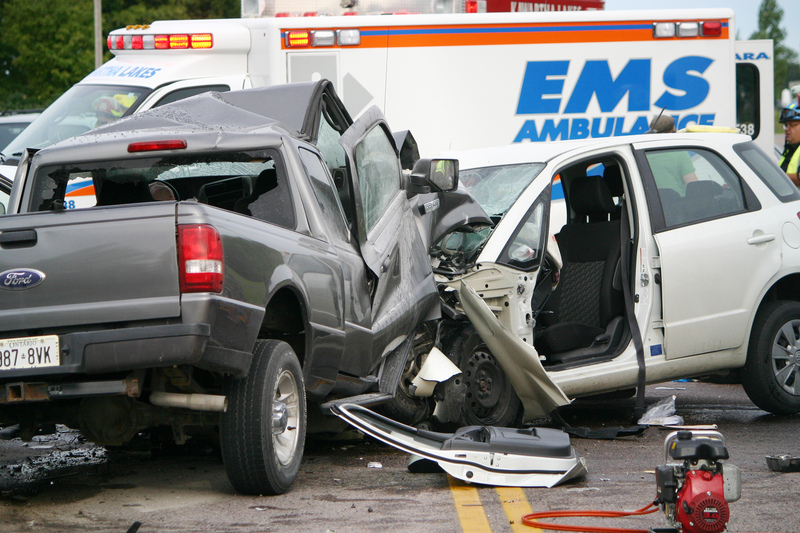 Have you or a loved one been seriously injured in a motor vehicle accident? Motor vehicle accidents come with many troubles and inconveniences: the monumental hassle of dealing with your insurance company, wrecked vehicles, and lost wages. The medical bills that pile up after a car accident are often the most difficult hill to climb if you have sustained serious injuries. If a loved one has been lost, the pain and suffering surrounding a wrongful death is immeasurable. What to do when you are involved in a motor vehicle accident. Take plenty of pictures. In the days of smartphone cameras, film cost is not a factor. Take photos from every possible angle. Make sure to capture both cars damages, as well as an overview of the entire scene of the accident. If you are unable to take the photographs yourself, ask for the help of a police officer. Interview & record eyewitnesses. This crucial step is often overlooked. Capture the names and phone numbers of the onlookers who saw the accident take place. If your phone has a voice recorder feature, use it to capture the details of their story. This evidence can prove invaluable in the courtroom. If you have been injured in a motor vehicle accident, contact the Frederick Law Firm today to discuss the circumstances surrounding your injury and learn how to avoid the common mistakes that can sabotage a personal injury claim. We are a Fort Worth, TX personal injury law firm has been practicing law since 1975.The Frederick Law Firm has decades of experience representing victims of serious car accidents and their families. Are you seeking legal representation and worried about how the process works? You have come to the right place. We are a Fort Worth, TX personal injury law firm has been practicing law since 1975. The Frederick Law Firm has decades of experience representing victims of serious accidents and their families. We take great care in ensuring that our client’s families are well-informed about the process, and we will always call you back. Michael E. Frederick & the Frederick Law Firm are committed to providing victims of accident & injury the support they need to get results. We are caring nurturers for our clients, but also aggressive in the courtroom. We know what it takes to get results for you. Get in touch with Michael today to schedule a free consultation. We know catastrophic injury and wrongful death cases. We have not only helped thousands of clients get settlements, but we have tried over 400 cases to verdict in the courtroom. This proves that we know what to do when things start to get more difficult. We represent clients in Fort Worth who value quick action, great communication and getting the settlements they deserve. Michael E. Frederick knows how to help serious injury victims in Fort Worth, TX. He started practicing law in 1975, and has been proudly serving Texans for decades. I understand the above disclaimer. Michael Frederick, Board Certified in Personal Injury Trial Law by the Texas Board of Legal Specialization, serves clients in Tarrant County, Dallas County, Johnson County, Wise County, Collin County, Hurst, Euless, Bedford, Haltom City, Plano, Frisco, Frisco, Richland Hills, North Richland Hills, Irving, Watauga, Denton, Grapevine, Colleyville, Southlake, Arlington, Keller, Grand Prairie, Fort Worth, Granbury, Cresson, and throughout Texas. Fort Worth, TX Personal Injury Attorney.